Although winter stuck around much longer than I would have liked (there was even snow on the porch this morning! ), I was determined to add spring touches to the house when the calendar hit April. I may not be able to open my windows to let in a fresh spring breeze, but I can make sure my family sits down to eat at a beautiful spring table. With help from the folks at O.co (also known as Overstock.com), I created a pretty, cheerful table that clearly says, "Spring has sprung." I adore dishes of all shapes, sizes and colours and I prefer not to use the same set of dishes all the time. Why not change your "everyday" dishes seasonally? Maybe your winter dishes are plain white or darker in colour. 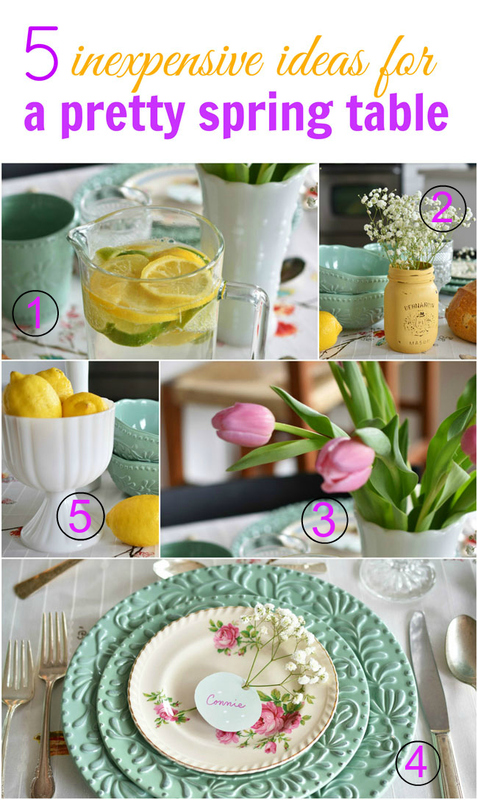 Spring is the perfect time to set out dishes in pale purples, pinks, greens and yellows. I set up my spring table as I would for a book club meeting with my cherished "book club" friends. We like to chat about the book (and plenty of other topics) while eating vegan mini muffins, scrambled tofu, scones, strawberries and tea. When we get together (which doesn't happen often enough) we like to sit down to a lovely table that speaks to the specialness of our time together. 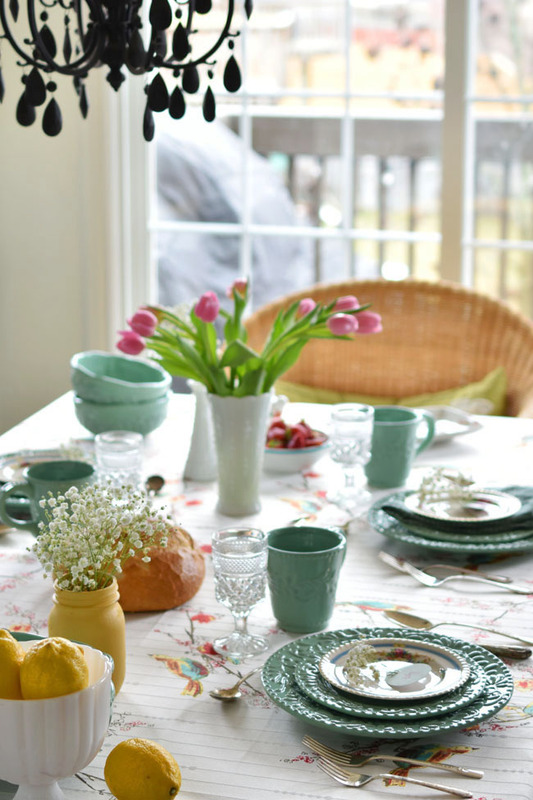 The inspiration for my spring table came from this gorgeous Lenox Chirp Microfiber Tablecloth. I love a good-quality tablecloth and this tablecloth is one of the best I've seen (and felt). Besides being absolutely beautiful, with its watercolor-inspired birds and florals, this tablecloth is made of stain-resistant material that is machine washable and protects your table. With the Lenox Chirp tablecloth as my background, I decided to add a few special dishes from the Lenox Chirp line as well. One of the best things about spring is hearing the sound of birds chirping once again outside our windows. I love how this Lenox Simply Fine Chirp Small Tray, above, pays tribute to our feathered friends. The 10-inch tray makes a lovely serving dish for scones or sweets and can also be used on an entryway table, dresser or vanity. It's porcelain but also dishwasher safe. I also added the small Lenox Chirp Fruit Bowl, because we always have strawberries on our book club table. Made of Lenox fine white bone chip-resistant china, the bowl is encircled by a turquoise band just beneath its rim. It's meant to be an individual fruit bowl, but I think it also works well as a serving dish. How pretty is the watercolour-style floral spray design? And do I even need to comment on this Lenox Chirp Figural Salt and Pepper Set? It's so lovely I want to be the person who designed it! These sweet bird figurines are crafted from fine white porcelain too. The dishwasher-safe earthenware set includes these large soup bowls, above. And four good-sized mugs for a large cup of coffee or tea. (I like to have a nice, big cup of tea.) Each piece has a beautiful, banded leafy pattern and I love that you can dress this dishware up or down depending on what type of meal you're having. I dressed it up this time, adding vintage crystal wine glasses to hold our sparkly water. To complete my spring book club table, I added a few decorative touches using items I already owned, like green cloth napkins that fit the colour scheme. On top of each place setting, I added a small plate from one of two different styles of fine china. This plate, above, is Johnson Brothers in a pink floral. The blue-rimmed plate, above, is Johnson Brothers Old English. I really like to mix old dishes with new. I also used vintage silverplated cutlery for an antique touch. I like the sense of shared history and celebration that comes from vintage pieces, so I also used vases and bowls from my milk glass collection. The white milk glass bowl contrasts so nicely with the cheerful yellow lemons. Nature provides the best décor, does she not? My recently painted yellow mason jar fit the colour scheme as well and made a suitable country-style vase for inexpensive baby's breath. In addition to baby's breath, I bought some affordable pale pink tulips to brighten the table. In order to tell each guest just how special they are to me, I created simple, inexpensive place cards using heavy paper I had left over from other projects. 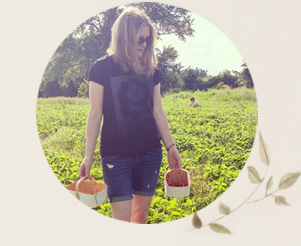 I used a circle template to cut out circles from the paper, wrote names with pink marker, punched a hole in each circle and put a sprig of baby's breath through each hole. Super quick and easy. 1. Add slices of lemons and limes to a pitcher of water. (I like to sparkle my water with the Bonne O.) Lemons and limes also make affordable, cheerful decorations when placed in bowls or even simply lying on the table. 2. Paint a mason jar in a colour that matches your spring colour scheme to easily create an inexpensive, pretty vase. 3. Buy affordable flowers such as tulips and baby's breath to add a celebratory touch to your spring table. 4. Create easy place cards for your family or guests. Simply cut a shape from heavy paper, punch a hole through the edge, place a sprig of baby's breath through the hole and write the name using a coloured marker or gold pen. This could be fun for kids to help out with too. 5. 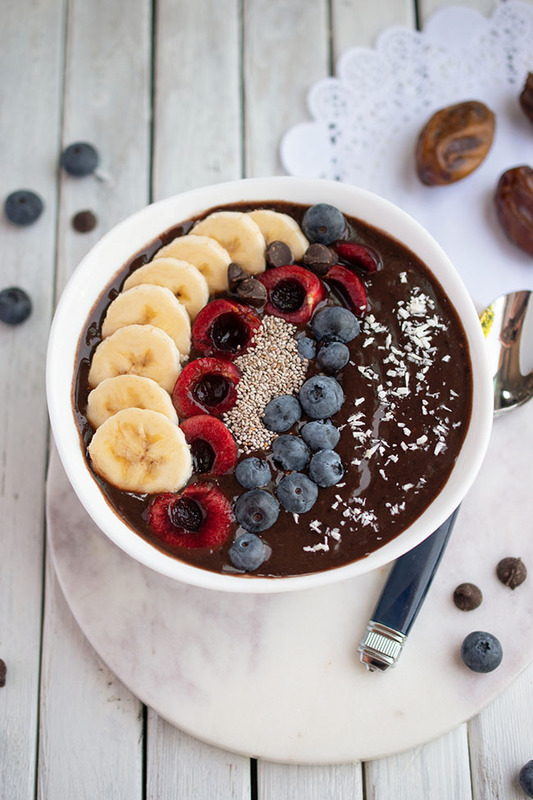 Mix up your everyday dinnerware with inherited or thrifted vintage dishes, like "good" china plates, silver or silverplated cutlery, crystal wine glasses and milk glass vases and bowls. What do you think of my spring table? And do you tend to switch your dishes up in spring (or ever)? What are your tips for adding pretty, inexpensive touches to your table? *My thanks to O.co for providing some of the pieces for my spring table. All opinions are authentic and my own. Thank you for supporting the awesome companies that partner with Woman in Real Life. Love your pretty table setting Joann! The colours are great and the photos are so clear of all your lovely choices. Jo your table looks great, I love love the tablecloth and matching pieces. You have great taste you must take after your sister lol. Where did u get the gorgeous teapot? That's beautiful! Love the birds! I have the same Johnson Brothers patterns ;) I've been meaning to do some autumn decorating around here but sort of forgot all about it. I am a big fan of O.co and there pretty things. You have done a great job with in "springafying" your table. It's beautiful! Thank you so much. You are welcome to tea anytime!!! No boys allowed. Haha. Aww, thanks Kate. Yes, dishwasher-safe is necessary when you have a family to run! Oh Joann, I am in LOVE with the Bianca Jade dishes!!!! Seriously in love. Your table looks beautiful, I love what you did with it! 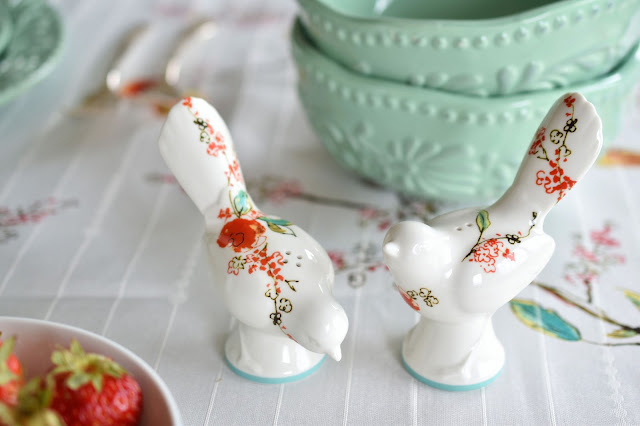 Chirp was the china I registered for when I got married a few years ago- it is so cute and whimsical! I loved that the designs didn't feel too "stuffy" for everyday use. I love to decorate tables with wildflower arrangements. Aww, thank you soooo much! Wow! It is just so beautiful! All the details! I have never had dinner with such beautiful setting! Flowers and candles are perfect Judy! This is beautiful! I usually add candles, and flowers to create a pretty table setting. That Lennox chip tray is beautiful. I am not very creative when it come to decorating a table. The basics are pretty much how it goes. I like to dress up my dinner table with good quality crystal. I love your table setting !! I too change my dishes seasonally . I mix up new dishes with sentimental pieces as well . Right now my table has a seaside theme to it, which is really my favourite for the summer. I love finding new to me items at thrift stores to add to my table decor. Your seaside theme sounds lovely Diana! Fresh flowers from the garden are the BEST! We rarely have any...haha. I love to have everything matching on my table. from placemates to napkins, and all the dinnerwear. I love using mason jars as part of the decor! The table you've shown is absolutely stunning, loving the teal! What a pretty table setting! I like to add colourful, flowery placemats to make my spring table look special. Floral placemats sound beautiful Cheryl! Your table is so beautiful! I love the Lenox Chirp pieces and love how you mixed in vintage and earthen elements. Simply gorgeous. Thanks so much Neelam! I appreciate your kind comment!